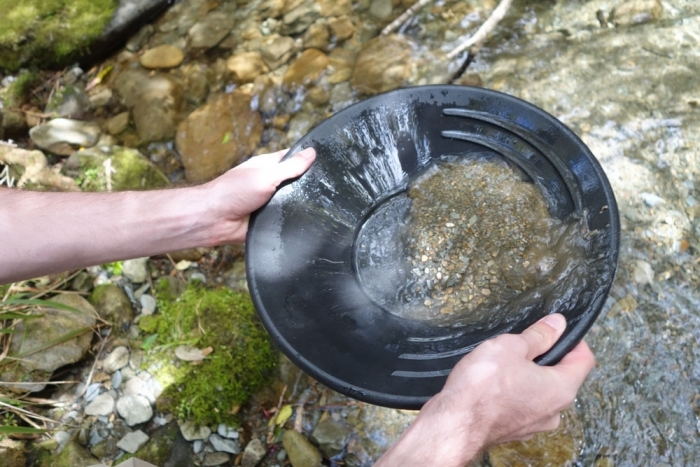 Find out whether or not we made our millions in gold and gemstones as we tried our hand at being treasure hunters on the west coast of New Zealand's south island. 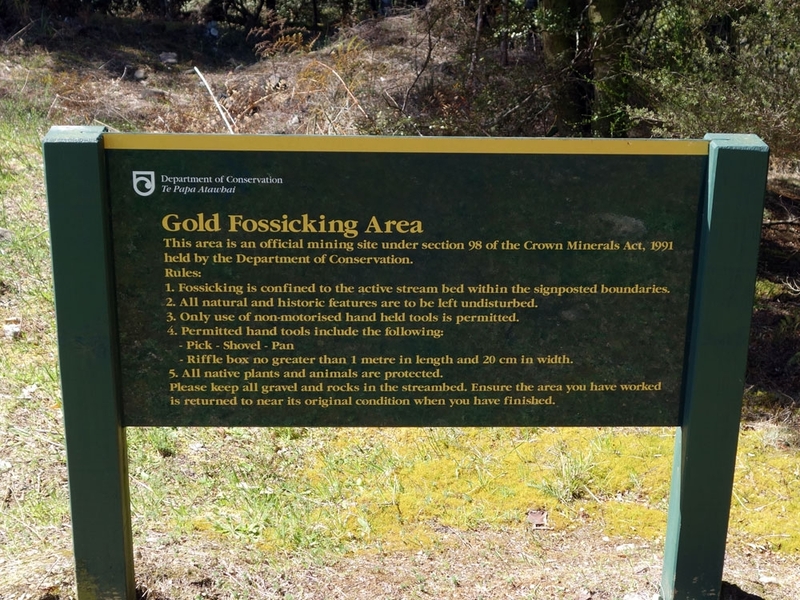 The west coast of New Zealand is rife with old gold mining towns, relics and mines. We decided to stop at Ross which is where the biggest gold nugget in NZ was found to try our hand at some gold panning. Truth be told, it's probably not the best place to pick to do it but the little information building there hires out the equipment for NZ$10 and we just wanted to have a go for fun. It's important to note that there are strict rules about where you can look for gold in NZ as people still hold licenses to the land and things so make sure you look for 'gold fossicking allowed' signs before doing anything (if you don't and are caught, your car may be included in the 'fossicking equipment' which is confiscated!). Sadly we did not make our fortunes that day but we think we did come away with a few flakes of actual gold which was good enough for us! 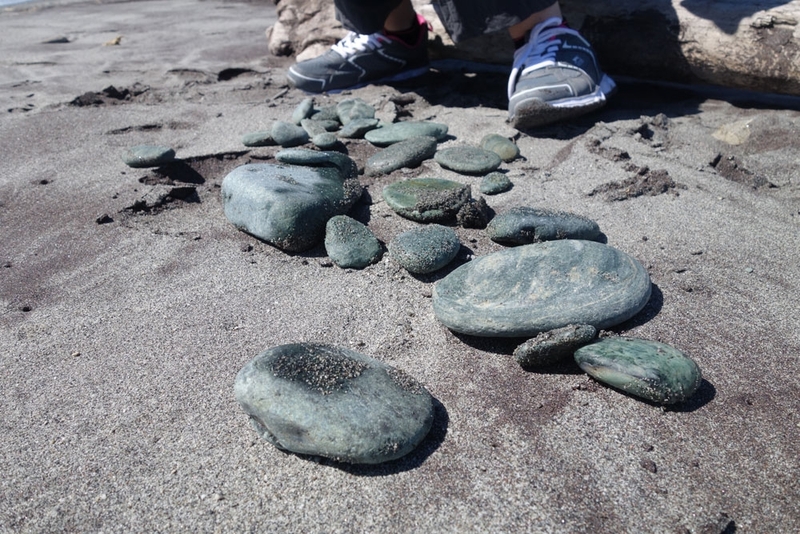 Also apparently in abundance on the west coast is the gemstone Jade. You will see plenty of shops selling jade souvenirs or the chance to carve your own. 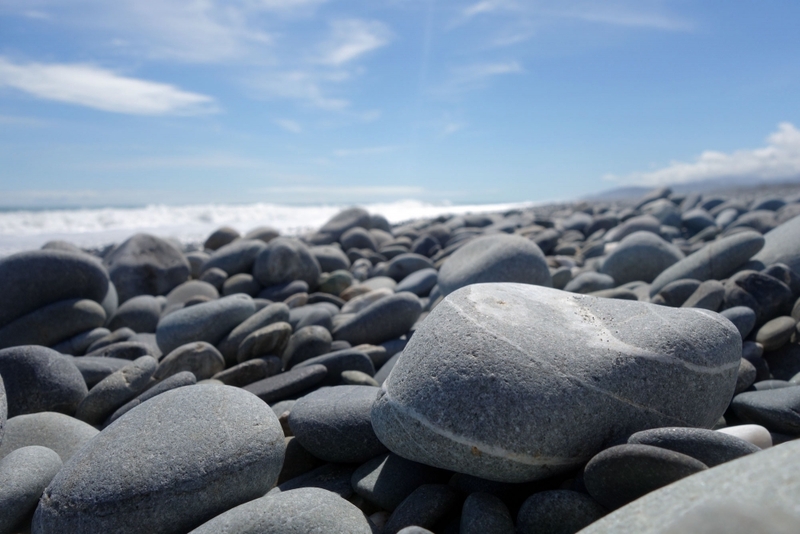 It is said that it washes up on riverbeds and along the coast so if you go looking you might just find some. We decided to stop at a few beaches around Hokitika to see what we could find...sadly a lot of rocks appear green when wet and turn ugly grey on drying so it was slightly more difficult than it first appears to find some. It's a fun activity though and we (hopefully) think that we managed to pick up at least one piece of actual jade for our efforts. 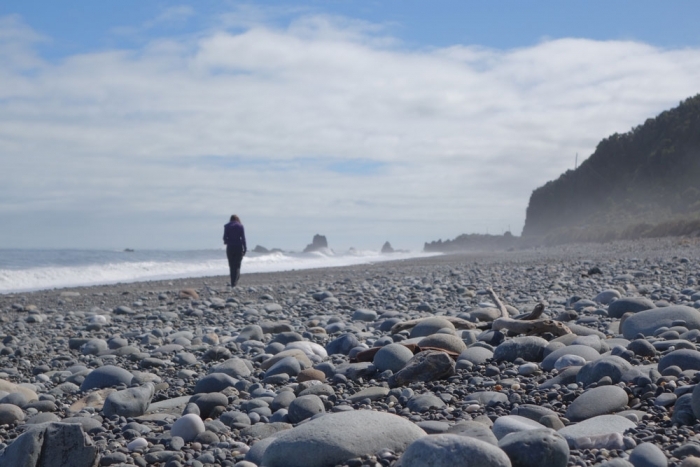 A few little points about that journey down the west coast: we stopped at the Punkaiki Rocks as they are very easy to hop out of the car and take a look at as well as being in every tourist brochure out there. If honest, we weren't overwhelmed by them. We were told they are more spectacular at high tide due to the blowholes so perhaps time your visit for then. They are a bit weird and strange though and so if driving past I would definitely say pop over and have a quick look. If you are feeling peckish, in Hokitiki there is a delightful homemade fudge shop called Alice's fudge kitchen. I absolutely adore fudge and will say that her fudge is one of the best that I have tasted (behind the UK chain coincidentally called fudge kitchen). The fudge is very reasonably priced and completely worth a stop if you have a sweet tooth. 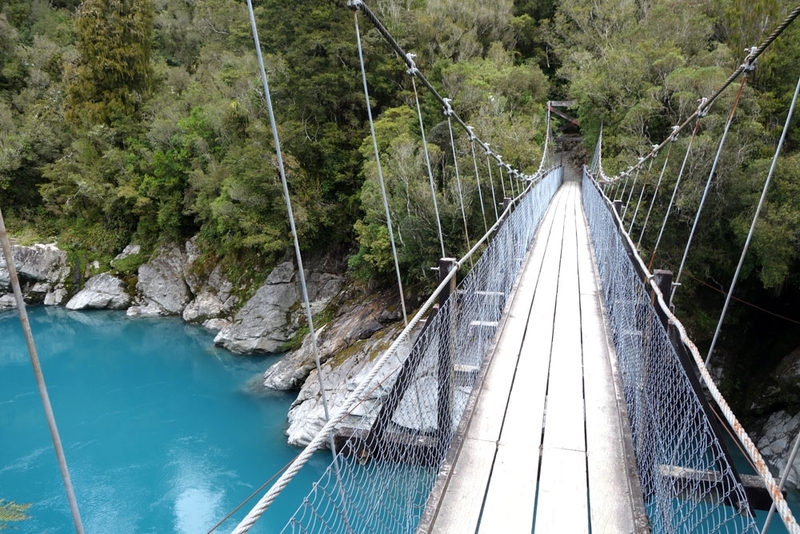 Another lovely detour on the road south is the beautiful Hokitika gorge - a swingbridge over the first bright blue glacial water that we'd seen so far made a lasting impact. 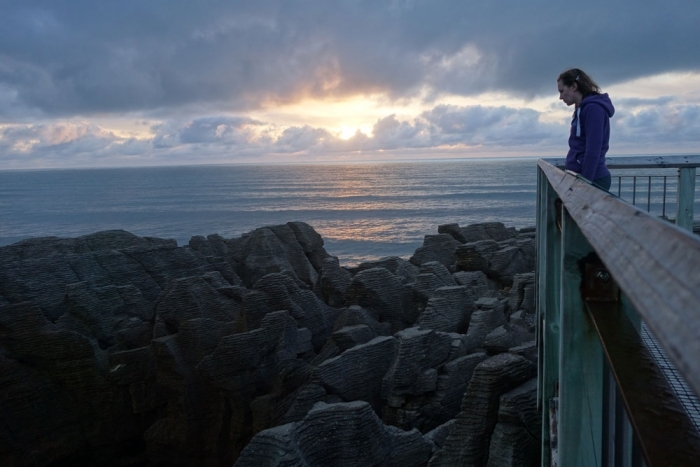 You can also walk all the way up to the edge of the water but watch out for New Zealand's friendly sandflies!